Dog owners need patience, consistency, and optimism. As an ordinary person, with an average amount of each, I needed help training my 5 year-old German Shepard mix Roxy to walk well on a leash. 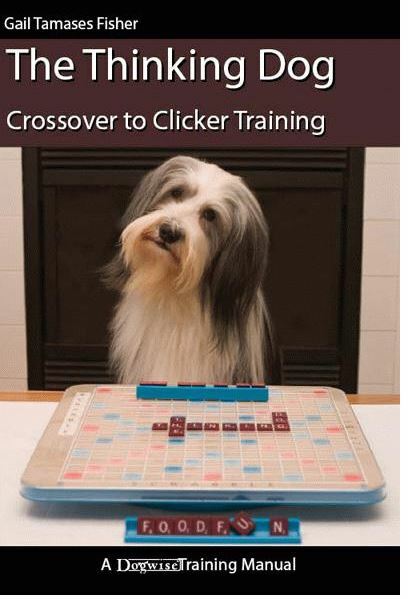 I found the help I needed in “The Thinking Dog: Crossover to Clicker Training” by Gail Tamases Fisher. We were quite happy, until lower back pain meant that I could not walk her anymore. When she walks ahead, the leash causes undue pressure and twisting in my lower back. At first, I tried explaining that to her. Then, I tried different lengths of leash and cushioned handles. I also searched for training classes that were priced out of our budget. On my own, how could I train her to ignore all of our previous walks and start over, since I had encouraged her to lead and conditioned her to expect she could go where she liked if she pulled. 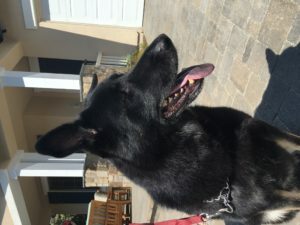 In short, I was not confident that I would be able to re-train her to walk with me again. 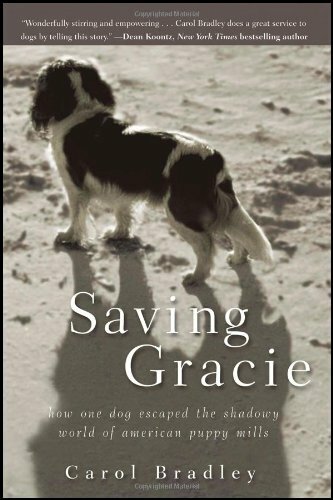 Finding the Right Solution for You and Your Dog: I recommend going to the book store or library to narrow the field. For me, it was too difficult to get a feel for the author on-line. Leafing through a book, reading excerpts and looking at the pictures matters to me – it is more interactive. 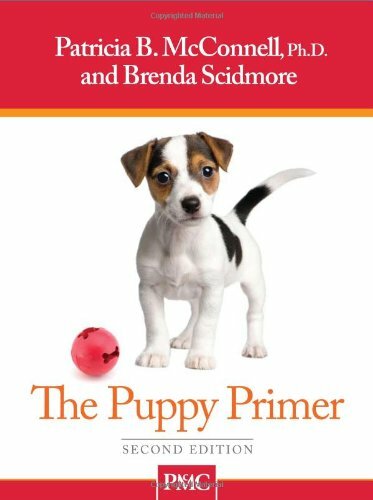 With an entire bookcase labeled dog training, I dismissed over-simplified picture books for new dog owners, books for training puppies, and advanced books on mastering tricks. With a narrow focus on retraining and correcting behavior, there were still decisions to be made, which training method would work for us? For positive reinforcement, of course Roxy responds to treats. Hadn’t I tried that already though? When she was a puppy, I wasn’t able to dispense treats as we walked on leash. She became distracted, over-excited and the walk became all about the treat. In fact, she would literally stop walking, and sit at attention in the middle of the sidewalk waiting for the treat – “Sit” she knows how to do. There are training methods with a special toy instead of a treat. Now for sure, our Labrador Fred responded to toys, he was always completely focused on the Kong tennis ball launcher. Roxy however, has only a passing interest in toys, she mouths them and drops them at our feet when we come home, but she isn’t singularly obsessed to the exclusion of all else. To make things easier, since Roxy already responds to a clicking sound, I chose a book that uses clickers. Currently, we use the sound to correct behavior, for instance I click and she turns left instead of right at a corner. Also, the clicking sound takes the place of “Leave It” when she finds food during a walk. She sometimes just looks up at me trying to figure out what to do – it is curious how one sound can mean different things to her in different contexts. Honestly, she is so smart, so it’s really all about the title – The Thinking Dog seems to fit her. The Thinking Dog: Don’t be discouraged – the book is exhaustive, I think that a thorough reading and understanding will take several months. Lucky for me, the nuts and bolts of dog training on specific behaviors are broken down in Chapter 12. I like that the chapter is in an outline format which is easy to follow, repeat and back-track when necessary. I also like that the book has a balance of text with step-by-step pictures. 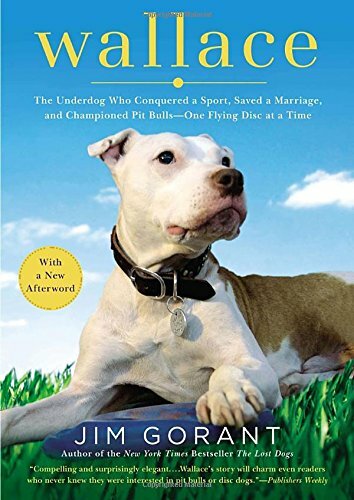 My favorite parts, are the inset stories from readers about their own dogs and their personal training experiences. For training Roxy, I have been using the sections that discuss two basic types of walking. First, Loose Leash Walking means that the dog walks without pulling. Second, Heel, where the dog walks on the left with his head in line with his owner’s hip. For my purposes I am aiming at loose leash walking. Loose Leash Walking: Essentially, the idea is to keep the dog within a 2-3 foot radius around the owner. I like the idea of letting her stop if she chooses or sniff things on either side of the walkway. In fact, 2-3 feet isn’t very much leeway, for Roxy that is only about a ½ dog length ahead. One of the insights I gained from the book is that small sessions – multiple times a day are more helpful. I found that I lost focus when walking her around the big block, making it too easy for me to transition to old habits. This small adjustment made a big difference for us, actually, to date we haven’t walked our normal route to the park. The idea is that if I slip and let her lead, that action itself is a reward and reinforces her pulling. The book suggests walking backwards when she goes out ahead, I have just been stopping and waiting. Occasionally, I have been giving her pieces of dog food as a treat. Because it’s easy to put dry food in a sandwich baggie, it is also easy for me to stay consistent, it is something I already have in my house that I don’t need to refrigerate and needs no preparation. I think the key is using baby steps and not getting discouraged. I am happy that we are working on modifying her behavior so that I can continue to share walks with Roxy.